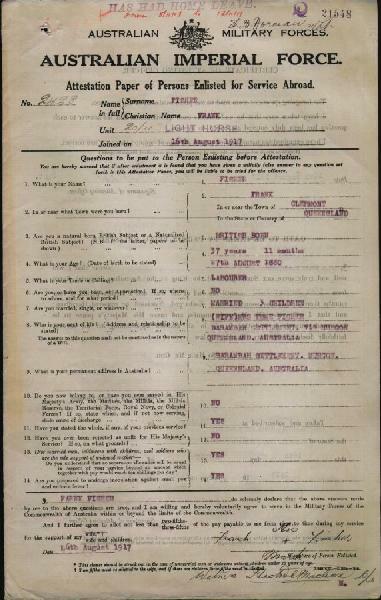 2428 Pte Frank Fisher, Attestation Paper, p. 1. 2428 Pte Frank Fisher, B103, p. 1. 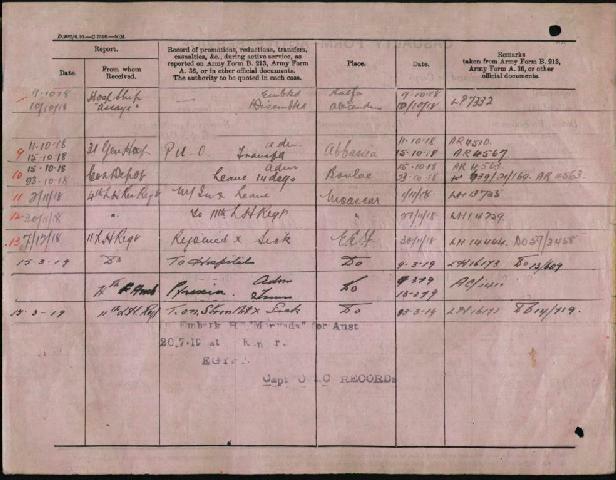 2428 Pte Frank Fisher, B103, p. 2. 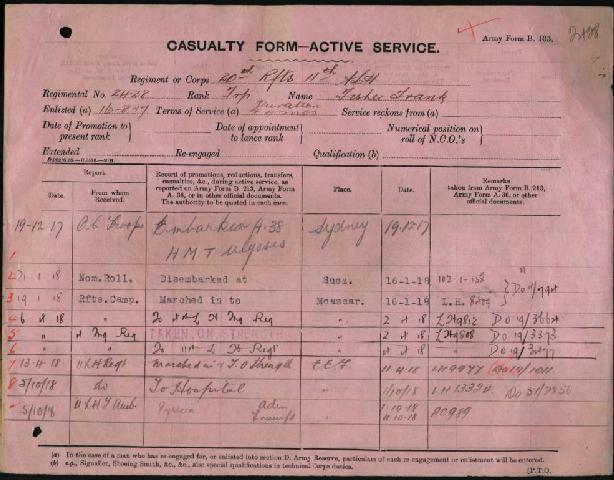 2428 Pte Frank Fisher, AIF D, p. 1. 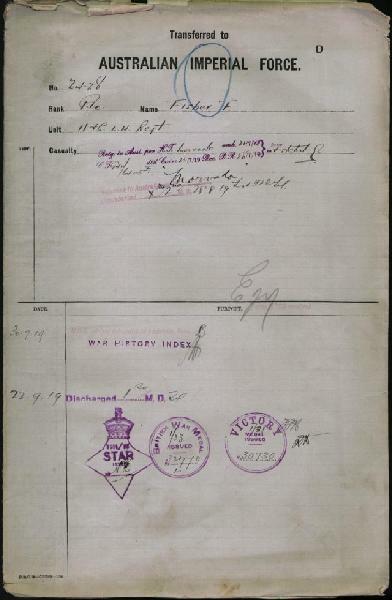 Embarked from Sydney, 19 December 1917; disembarked Suez, 16 January 1918. Taken on strength, 11th Light Horse Regiment, 11 April 1918. 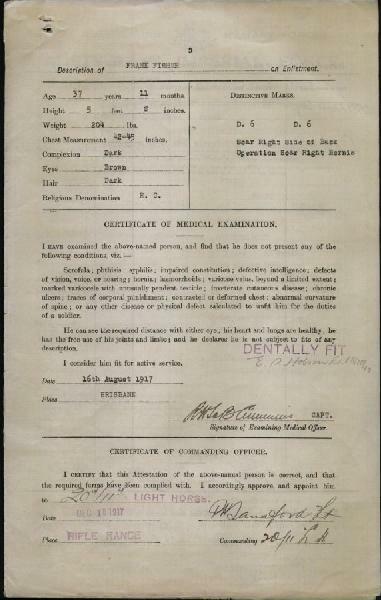 Evacuated from Haifa, Palestine, to Alexandria, Egypt, 9 October 1918 (pyrexia); rejoined unit, 30 November 1918. Commenced return to Australia on board HT 'Morvada', 22 July 1919; disembarked Sydney, 28 August 1919; discharged, 22 September 1919.